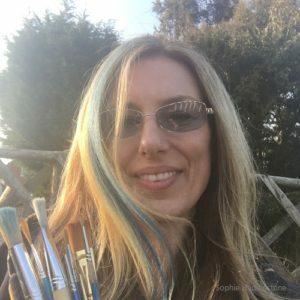 Hubby and I have a small office at Vision House, but most of the time I’m at home in my art studio gadget free with a paintbrush in hand. Please leave me a message if I do not get to the phone in time. 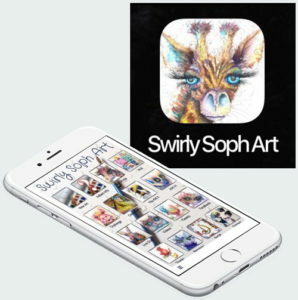 You could also use the contact icon on the Swirly Soph Art app. You can read the policies for using my website www.sophiehuddlestone.com on the POLICIES page. This also includes privacy and copyright policies.